Does Your Garden Need Expert Gardener Brixton? Do you desire the perfect back garden to relax and contemplate life, the universe and everything in it? Do you dream of being greeted every day after work by a beautiful front garden leading to your door? Here at Gardeners Brixton we understand how truly important a well designed and maintained garden can be. We also know how difficult it can be to maintain without professional gardening help. Call us now to learn much more about our range of gardening services and packages available in Brixton, SW9. Our teams of gardening experts are on hand to help with the right advice and package. Home owners throughout Brixton are getting in touch on a daily basis for a while range of tasks they need done. We take the stress out of garden maintenance and can be ready on standby at a moment's notice if you've got an emergency! We have all the tools and equipment necessary to make sure your back or front garden is taken care of. We offer an excellent lawn mowing service in SW9, ensuring that your grassy areas are well cultivated and look great. Our services come at great prices that won't leave you out of pocket, and there's nothing better than looking out of your window and admiring a beautiful wealth of freshly cut grass! Are you going away for a holiday and worried about what will happen to your garden whilst you're away? Are you heading off to see family and unsure when you'll return to water the greenhouse? Perhaps you are just popping away for the weekend but the grass is in desperate need of a cut. Wherever you are in the SW9 region, we can help take care of your needs. 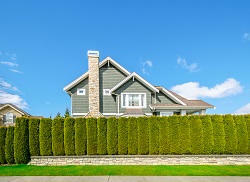 We can come in and provide lawn care, hedge and bush trimming and a multitude of other maintenance services. Our team of professional Brixton gardeners are bursting with ideas to make you garden a picture of Eden on your return. Have you been spending the years watching your poor garden deteriorate into a scrap yard or a desolate wasteland? Well, there's now a solution to your gardening worries. We believe that no garden is beyond help and we have an armada of passionate and dedicated gardening professionals simply waiting to sink their teeth into a garden that needs their care and attention. You won't need to lift a finger, as our team of experts can swoop in and provide a huge range of gardening services in Brixton. We offer a friendly and affordable service to those who simply want their garden back! It can be difficult to keep up with the maintenance of your garden, whether it's large and long or small and simple. If you need a bit of help managing your lawn or need someone to provide some tips and advice, then we can help. We can provide a whole range of services throughout Brixton. Long gardens often have larger areas of grass that can become unmanageable, which is why we can provide the proper maintenance in the SW9 area. Gardens of all sizes can be in need of weed control and landscaping can always add a sense of style. Where can you turn to in the SW9 district when you've thoroughly given up on your home garden? Are you terrible at lawn mowing and landscaping? Has the silver birch at the end of the garden gotten out of control? We can help with any one of your concerns. 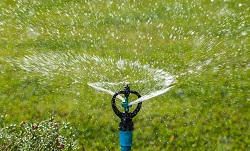 We can offer an array of garden maintenance services. We have a dedicated team of experts who bring a level of creative professionalism you'll be delighted with as they transform your back garden into the landscape you've always craved. For your top gardeners Brixton, get in touch today and learn about the services we have available.